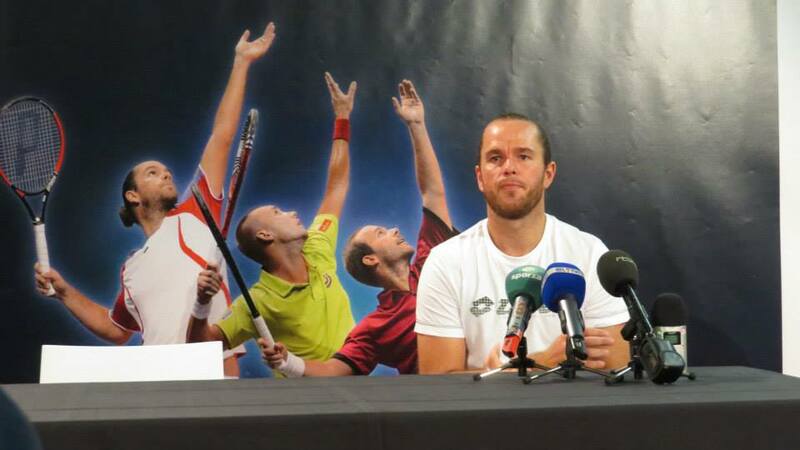 Those of you who have followed this site (or my tweets–sorry about that) for a while know that I am a fan of the Belgian player Xavier Malisse. 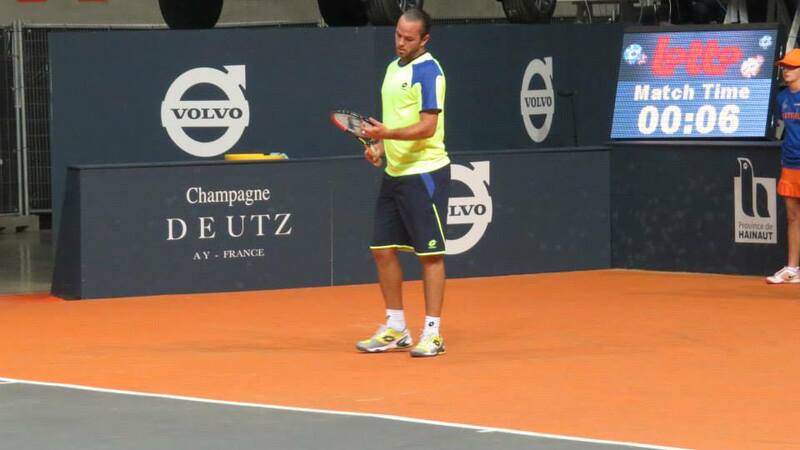 Well, it’s a sad week for me, because Malisse just played his last professional tennis match in the Mons Challenger. Malisse might not have ever fully lived up to his potential, but his talent and determination kept him on the tour for almost 15 years, providing a lot of highlights and comebacks and surprises along the way. There was the Wimbledon semifinal in 2002, the three singles titles, and the 2004 Roland Garros doubles title with Oliver Rochus. Good times. His retirement didn’t come as a surprise to me at all–he is 33, and I got a chance to talk with him one-on-one at the Citi Open and he said that the U.S. Open would likely be his last slam. 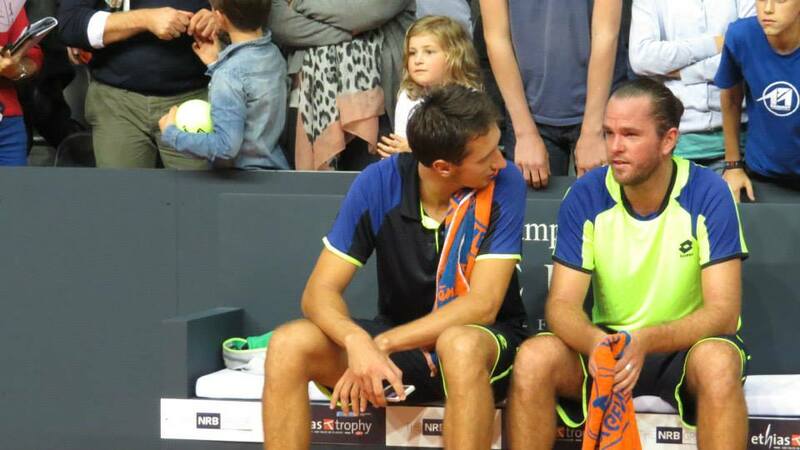 There was momentary talk of him competing at the Australian Open, but his father is ill and he took time off after the U.S. Open and just decided to say goodbye at the biggest tournament in Belgium, the Mons Challenger. Makes sense. During the past few years I’ve gotten to know Melissa, a fan who has run his website, Twitter, and Facebook account. Throughout this work she has become friends with Malisse, and she was the last person to get to interview Malisse in Mons. 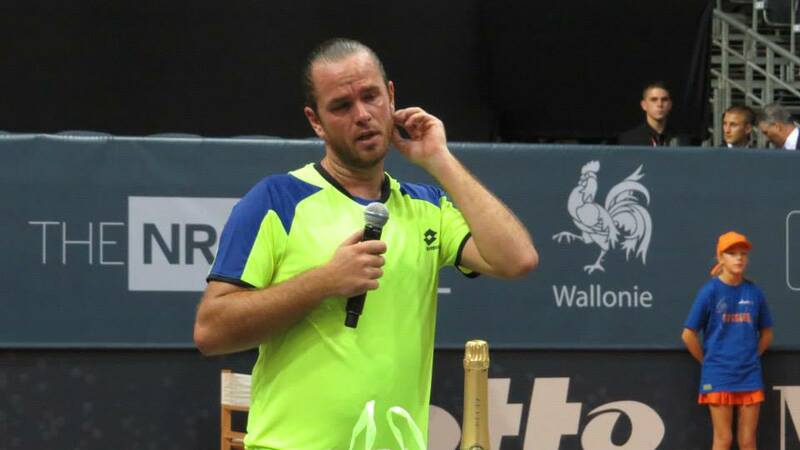 When I drove to Mons I knew that this was probably going to be the last day that I would see Xavier Malisse as a professional player on a tennis court. After following him for 14 years, and managing his website, twitter and facebook page, I was in for an emotional day. Malisse told the Belgian press later that he did not really train since the US Open, and that he did not really miss it. The “hunger” to win was gone. After the “official” part of the interview, we continued talking. We discussed about how our lives went, being the same age, how much life had changed in 14 years. I still remember seeing him beating Roger Federer in 1999 at the Davis Cup against Switzerland, the first time I saw him, after starting up his website some months before. In all those years I met so many people doing his website, that I cannot even imagine anymore how my life would have gone if I hadn’t started his site. We took a picture together, and then it was time for him to prepare his match. I don’t recall a lot of the match itself, I invited some colleagues from work, and we watched the match together. He got a huge applause before, during and after the match, really what he deserved. After the match, there was a little ceremony, organized by Dominique Monami, once WTA no. 9 of the world, and now tournament director of the Ethias Trophy. 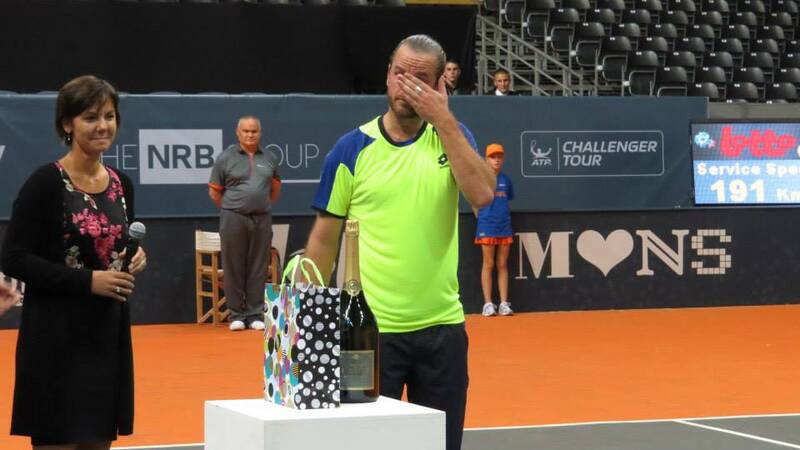 Things really got emotional during Malisse’s farewell speech. 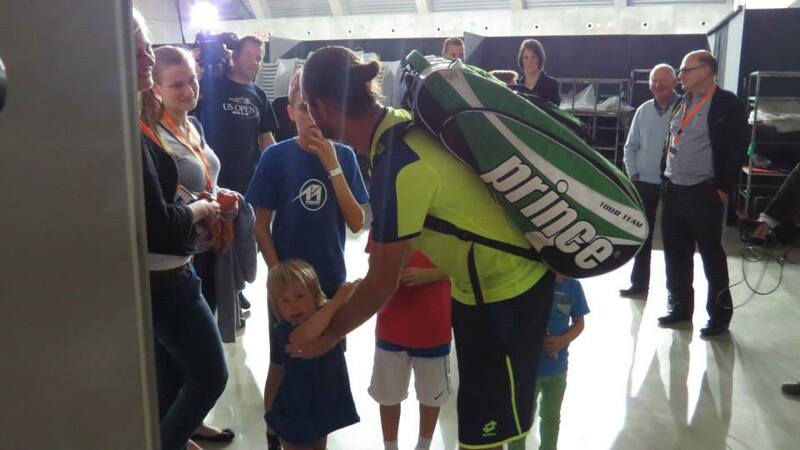 Malisse thanked his fans, for supporting him “even in moments where they probably wondered what I was doing.” He cried a first time when he thanked his brother, who took care of everything, so Xavier only had to focus on playing tennis. He thanked his father, who could not be there due to illness, for giving him the chance to play tennis, for supporting him all those years. And at last he thanked his mother, who passed away 3 years ago, saying that she was with him in his heart during all these matches. He had no words to express his feelings. I was crying, Dominque Monami was crying, I think the whole stadium was crying with him. So many emotions. In Melissa’s latest e-mail to me, she said that on a radio interview today Xavier said that if he saw a McDonalds today that he was definitely going to stop by and get a burger– he deserves it! It certainly sounds like he is done with the tennis grind and ready to move onto the next stage of his life, whatever that may be, but of course it’s never easy to say goodbye. Here are a few more pictures, all courtesy of Melissa. The full album can be found on the Facebook page. Malisse was frustratingly fun to watch. I always got the impression he was more interested in how the shot would turn out rather than the score line. All the best in retirement!